One of the great joys and privileges of being a music blogger is the access it grants us to pre-release content, usually via promoters and artists, months or weeks before it can be celebrated officially and out loud. But add this to our increased support of Kickstarter, Pledge Music, and other crowdsourcing platforms where rewards for supporting a pending release often include exclusive early access to that music in hardcopy, download, or stream, and we’ve got a conundrum: sometimes, the best of what we’re listening to can’t be shared yet. It was hard not to spill the beans on these early 2018 releases before the new year turned over, in other words. But we’re thrilled to be here, today, to tout and celebrate that which has been pleasuring our hearts and ears for weeks. Join us as we foray into a set of new and impending coverage from artists we love, and have shared work from here before. Disclaimer: I once spent a hot, humid Sunday afternoon in a shady folk-festival tent hosting Red Molly co-founder Laurie MacAllister, drinking beer and brainstorming songs for the band to cover on their next album. None of them made the cut, but I’m still pushing for the trio – now gearing up for a Spring tour as the band promotes a set of new Pledgemusic-driven solo works from each member – to take on Marc Cohn’s second album, and some deeper cuts from Patty Griffin’s debut. 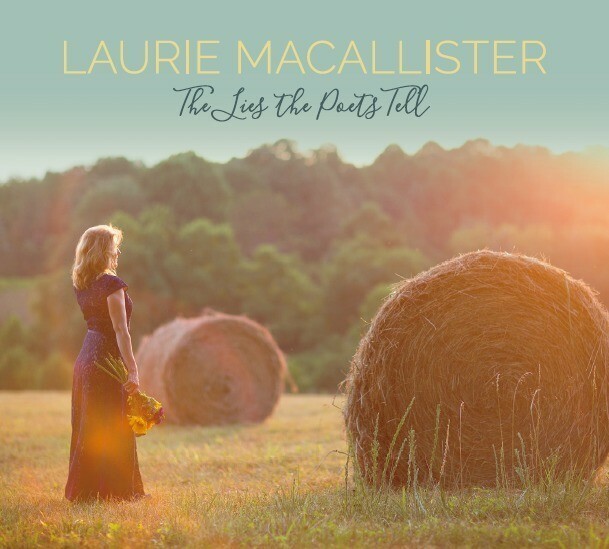 But MacAllister gets high honors for her own solo disc, an all-covers affair titled The Lies The Poets Tell, a Pledgemusic reward that arrived mid-December but does not officially drop for another week or two. Sumptuous in its arrangement and instrumentation, it’s high-production contemporary folk, and as such, it takes some songs, like Lucy Kaplansky’s Ten Year Night, a bit farther than I would have thought they needed to be taken – but in the end, every track counts, and that’s a rarity we’re thrilled to welcome. Overall, The Lies The Poets Tell is a gorgeous, intensely intimate translation of favorite songs and deep cuts from a veritable who’s who of the songwriter’s songwriter’s scene, including duets with the late great Jimmy LaFave, Mark Erelli, Ellis Paul, and Richard Shindell on a Richard Shindell song. Look for it in our Best of 2018, and find it as soon as you can. 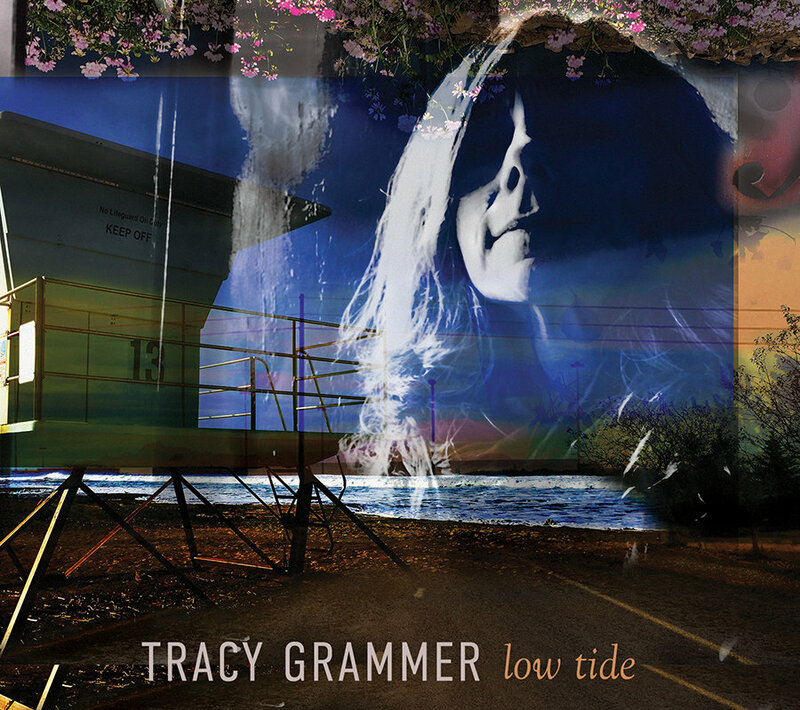 Tracy Grammer‘s newest record is being touted as her first true-blue solo set, and technically, that’s right, as her ten previous works were either collaborations with Dave Carter, or posthumous recordings of his work. In many ways, it’s also clearly about time: Low Tide, now available and streaming in full at Folk Alley, represents a strong next step for Grammer’s independent voice as a songwriter, with potent songcraft that reflects the tender and stubborn heart that got her here, and a way with words and images that doesn’t so much transcend the legacy of her earlier work as it marks the beginning of a new path to glory. A bold and beautiful collection, the album is equally high-production, thanks to strong Kickstarter support, Signature Sounds stalwart Mark Thayer’s strong hand in play as engineer, and Lorne Entress and Jim Henry as studio sidemen; its single cover, a reinvention of Kate Bush’s Cloudbusting, is both a perfect fit for the disc, and an essential teaser for a career blooming anew. 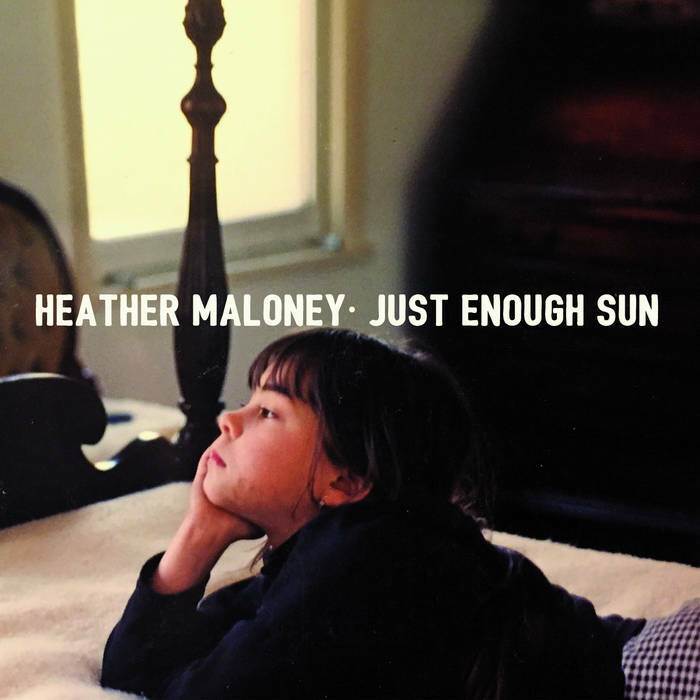 We last saw local hero Heather Maloney on these pages alongside Darlingside, thanks to a split-bill EP that saw them matching wits and voices on Joni Mitchell’s Woodstock and more. The New England native’s newest EP has been listed on Bandcamp for a while, but the tracks just dropped yesterday, and we’re glad: the originals here, including straight-to-single album-opener Let Me Stay, are warm and delightful, with smart, sincere, and sassy lyrics; the closing cover is sparse and straightforward, emotionally rich and acoustically intimate, a coda for something wonderful and new. Looking farther ahead is a risk, of sorts – run the buzz out too early, and by the time a record hits, you may have forgotten about it. 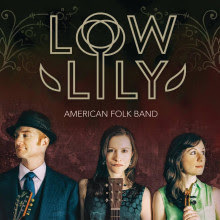 But although Low Lily’s newest album 10,000 Days Like These won’t hit the streets for a while yet, as Indiegogo supporters, we found the tracks in our mailbag earlier this week, and we’ve had the album on replay every day since, thanks to catchy, complex melodies, lovely harmonies, and some of the best fiddle-and-strum on the folkscene today. As coverhounds, we’re especially excited by two tracks in particular: covers of a Gillian Welch barnburner and a Dire Straits ballad which bring studio prowess and the precision of three masterful multi-instrumentalists to songs we’ve heard before in live session in our very own Unity House Concerts, and would cherish in any venue or medium. Preorder now, and hear the glory for yourself. 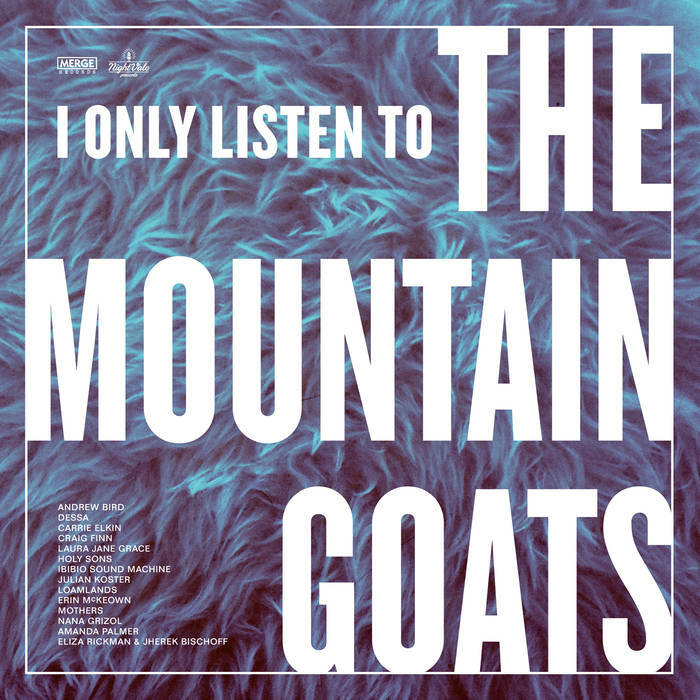 Finally, Cover Me picked one of the earliest tracks off new Mountain Goats curated covers album I Only Listen To The Mountain Goats for it’s honorable mentions list at the end of 2017. But the one-per-podcast, track-by-track trickle-down tribute to Mountain Goats album All Hail West Texas isn’t finished, and the hits keep coming, even as we wait for the album to officially release upon completion in April. It’s been a long time since we heard from Erin McKeown, but this is a great indicator that she’s still got it, with a little more indiepop flair and all the usual swing. Eliza Rickman and Jherek Bischoff’s sharp chamberpop are worth the earworm. Even unfinished, with Carrie Elkin and Andrew Bird still waiting in the wings, the collection is already a strong contender for best mixed-genre tribute album of 2018. And if, in the end, you’ve got goodwill to spare, and want to help keep the music flowing? Please, consider a contribution to Cover Lay Down. All gifts go directly to bandwidth and server costs; all donors receive undying praise, and a special blogger-curated gift mixtape of over 50 well-loved but otherwise unshared covers from 2016-2017, including the live versions of Low Lily covers mentioned above, and more exclusive live covers from our very own Unity House Concert series. We founded our family on the spirits of close community and adventure: it’s in our wedding contract, and one of the main reasons my wife and I both work in education is to ensure that our calendars include time to wander together. But nothing looms as large in our ongoing pursuit of the live and immersive than our annual excursion to the Falcon Ridge Folk Festival, which this year celebrates its 28th anniversary August 4-7 at Dodd’s Farm in Hillsdale, NY, just over the border from Great Barrington, MA, at the foothills of the Berkshires. 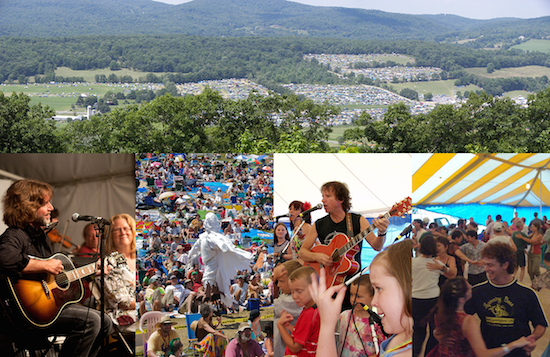 As a well developed “state” into which “citizens” opt in, FRFF is not just summer camp for a bunch of delusional, idealistic folk music enthusiasts (folkies)…Indeed, the real-ness of FRFF is at the crux of its symbolic power. The common goal of those who attend is to make the folk music ideal – a vision of shared power and creation, uninhibited personal expression, and general acceptance and love – real through a successful music festival. Reaching this goal every year can be a challenge, especially in a world where smaller music festivals are falling apart around us – both Clearwater and Gathering of the Vibes have been cancelled for this year, due to a combination of factors that inevitably include financial concerns. 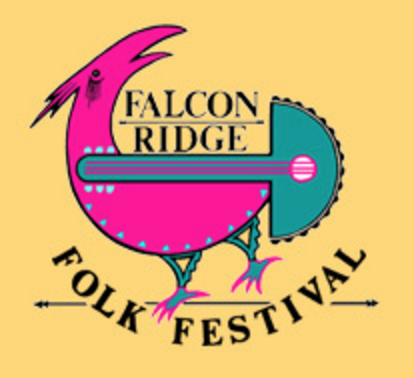 But thanks to that efficiency, and a core cohort of volunteers and organizers who work tirelessly year-round to maintain and sustain the place they love, Falcon Ridge Folk Fest continues to offer the best of both the world of intentional community, and the world of folk. This year’s Falcon Ridge Folk Fest mainstage and workshop stage performers include the usual mix of well known names from three generations of American folk, representing a broad tent, from solo singer-songwriters like Tom Rush, Patty Larkin, Vance Gilbert, Matt Nakoa, Heather Maloney, Eric Schwartz and Peter Mulvey to folk rock, world music, psychedelic, country rock, Americana, and other genre-busting bands and folk supergroups like The Felice Brothers, The Gaslight Tinkers, Brother Sun, Scott Wolfson and Other Heroes, and The Slambovian Circus of Dreams. Well-populated contra dance and children’s stages run throughout the festival, too, and up-and-coming performers play regularly alongside colorful tye-dye, jewelry, henna tattoo parlors, and African drumset sellers in the vendor area, and stalls selling everything from Caribbean goat stew to ice cream, sweet and savory crepes. Camping at Falcon Ridge isn’t mandatory; only about a third of the attendees each year choose to stay overnight in the fields, and my parents – neither of whom camp – have always found themselves both fully welcome and fully sated by their own experience. But if you can do it, living on site is highly recommended. The sense of community on the farm is palpable and sweet; I have yet to meet a camper who did not discover their own site “family” in their first few hours on the farm, and wandering camp-to-camp brings an evening’s delight, full of laughter and food-sharing. Those who play and sing are always welcome to join in. And, as a bonus for nightowls, the music at Falcon Ridge continues into the wee hours in the campgrounds, where a half-dozen regular formal songcircles and stages like The Budgiedome and Pirate Camp bring together mainstage performers and up-and-coming name-brand performers from the coffeehouse circuit. Although officially Falcon Ridge doesn’t start until Friday, August 5, Thursday offers its own special pre-fest charm, with a shaded farmer’s market and tasting day on-site that offers the best of local breweries and wineries, dairies and farms. And there’s music, too: some of the best music I’ve seen at Falcon Ridge in the past 4 or 5 years has been presented or previewed on The Lounge Stage, a one-time campsite stage that found it’s way into the main festival grounds to avoid a thunderstorm two years ago, and has since become an officially sanctioned festival-within-a-festival housed under the Dance Tent. Performers for this year’s Lounge Stage have not yet been released, but their ability to select and combine mainstage players and rising stars together for intimate sessions in the round makes the Lounge Stage a must-see; past performers include Jean Rohe, Matt Nakoa, We’re About Nine, John Gorka, Irish Mythen, Pat Wictor, Pesky J. Nixon, Caitlin Canty, Buskin & Batteau, hosts Pesky J. Nixon, and more. One last note before we get to the music: while Falcon Ridge needs paying patrons to survive, as alluded to in Carlisle’s thesis, it also needs volunteers, and this year’s volunteer pool is currently thin, far below the needed thousand it takes to run the place efficiently. Volunteers get two solid meals a day, free access to campgrounds and the festival itself, and the warm satisfaction of helping build and maintain a crucial cultural locus of love and music, all for the price of a staff t-shirt and a few four-hour shifts throughout the long weekend; if you’re interested in joining up, head over to the volunteer website, and stake your claim for a spot on one of our crews. Either way, we’d love to have you – and we’re sure you’ll love it, too. So click through below for a 21-track collection of coverfolk from a set of artists who together represent the breadth of modern folk music and the promise of an intentional nation. And then, if you can make it happen, save the date, and register now – as a volunteer or a paying patron – for the very best fest around. We’ll see you there. Artist-centered and ad-free since 2007, Cover Lay Down shares coverfolk features and ethnographic musings throughout the year thanks to patrons like you. Coming soon: new and newly discovered tributes and cover collections take on Dylan, Blind Willie Johnson, Jimi Hendrix, American tradfolk and more, plus our usual plethora of artist and songbook features as the summer kicks in!